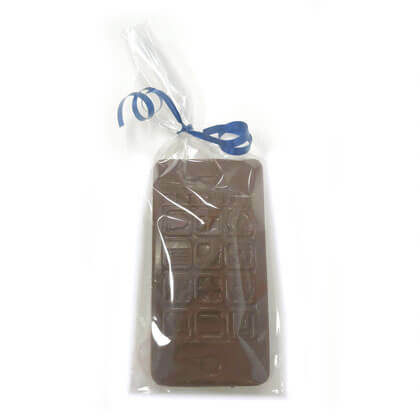 Smart phone, iPhone and Droid are better in chocolate. Solid milk chocolate. 2.3 oz. Approx. 2.25 inches wide and 4.5 inches tall. Kosher Dairy under the Star-K Dairy Supervision.